Stuffed bell peppers-the ultimate comfort food! 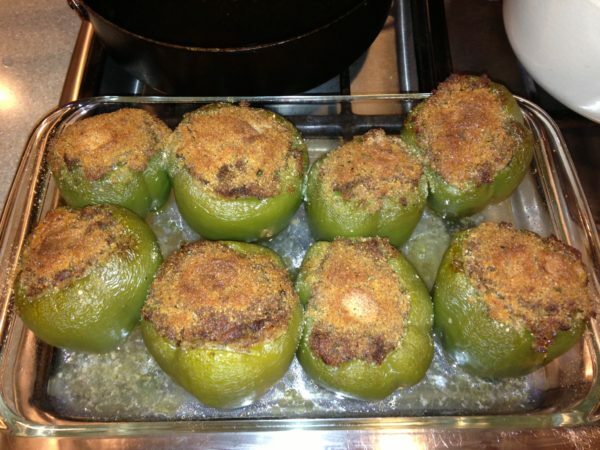 Every cuisine has a version of stuffed peppers, this recipe uses beef and veal and is more a creole or cajun version. 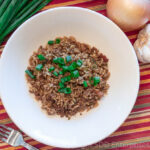 This is a great main dish or a fabulous side dish for red beans and rice! Slice the peppers in half through the stem and scoop out the veins and seeds. Parboil the peppers in boiling water for about 2 to 3 minutes (that's after the water comes back to a boil), remove immediately to an ice bath to stop the cooking process. Place them upside down on paper towels to drain and cool; set them aside. Heat the oil and butter in a cast iron dutch oven over medium high heat until starting to foam; add the chopped onions and bell peppers and sauté until almost clear. Add the garlic, stirring until aromatic-about a minute or two. At this point add most of the Herb and Spice Blend, reserve the rest. Mix well. Crumble the meats into the veggie mixture by hand. Stir to combine well and brown the meat until just the pink is gone, breaking up all the lumps as you go. Once browned you may want to remove some of the rendered fat, but not all. 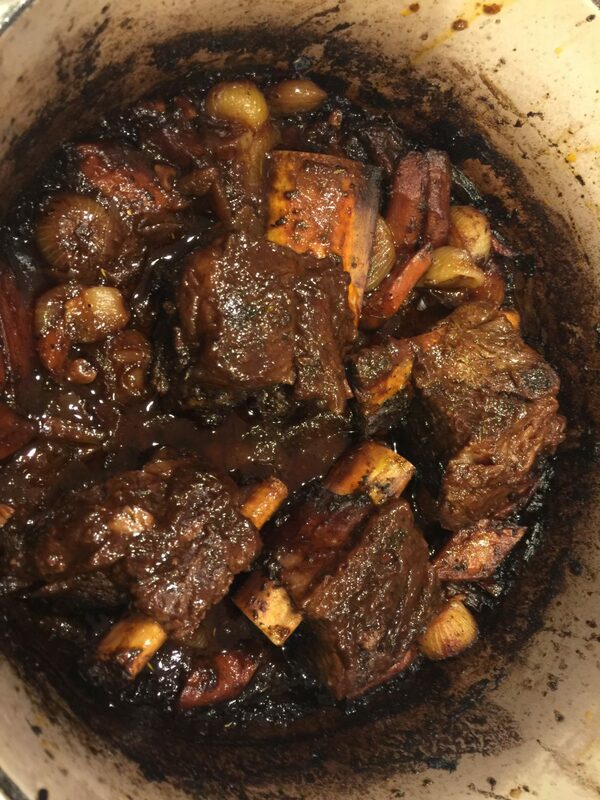 Add the Worcestershire sauce and about 1 to 1 1/2 cup of beef stock, reserving the rest. Bring to a full boil, then lower the heat to a simmer and simmer until the stock is almost evaporated, probably around 10 to 15 minutes. Taste the mixture for seasoning. Add the bread crumbs a little at a time until you have the consistency you want, be careful not to add too much. 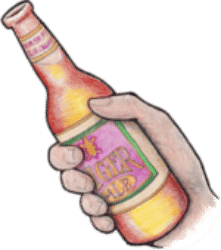 Add a little more stock if needed. At this stage it should have the consistence of a filling or stuffing, no large lumps of meat and very nicely blended and smooth. Taste again for salt/seasoning, add some of the reserved spices if needed. Let the stuffing sit covered for about 10 minutes while you get ready for the next step. Heat oven to 350 deg. Prepare an oven safe casserole dish with low sides by spreading soft butter or spraying cooking spray in the bottom. Remove bay leaves from the stuffing, then stuff the filling into the peppers, making sure to press down to fill all the voids. Once filled, place each pepper in the baking dish. Sprinkle a little bread crumbs and place a small tab on butter top of each one. Pour about 1/2 inch water in the bottom of the baking dish and adjust the peppers to make sure some of the water gets underneath them. Bake at 350 deg for about 30 to 45 minutes, uncovered; they are done when an instant read thermometer reads about 160. If they are starting to brown too much, just lay a piece of aluminum foil over them in the oven until they are finished baking. Take out and let sit for 5 to 10 minutes. 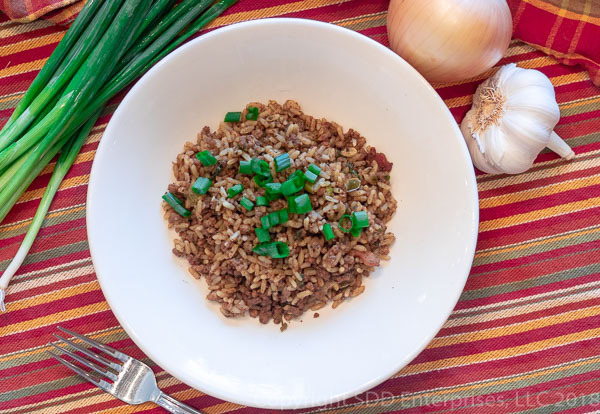 Many commercial creole seasonings contain salt, so be mindful of that when using. Taste before adding additional salt!